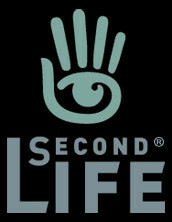 This is a serious development that could threaten the rapid rise of this game, particularly because Second Life is emerging as one of the most important virtual economies in the world, with a growing and vibrant market where people create and exchange all sorts of virtual content, from music to virtual clothing. It has such potential that it has even been featured in several business magazines, such as Business Week. 250 Linden Dollars (L$) will get you one US Dollar ($). Hey! That’s a better exchange rate than the Costa Rican Colón!